Clifden is a relatively new town, founded in 1812 by the local landlord, John D’Arcy, and is one of the last towns to be built in Ireland (Gibbons & Gahan, 2004). When D’Arcy inherited his estates in 1804 they were thinly populated by fishermen and mountain farmers (Villiers-Tuthill, 1990). It was a ‘wild district’ of abject poverty, where travellers were ‘often compelled to put up with miserable lodgings and cheerless fare’ (Hall & Hall, 1853b: vi). D’Arcy’s vision for Clifden ‘was to create a thriving commercial centre in the resource-rich, but poverty stricken region’ (Gibbons & Gahan, 2004: 16). He encouraged merchants into the district by offering leases on plots for development (Bradbury, 1871) and canvassed Dublin Castle (The seat of British rule in Ireland at the time) and the Irish government for support in developing the town and seaport (Villiers-Tuthill, 1990). Settlers came with their trades and their merchandise, workshops and stores. These shops consistently changed hands over the years resulting in even today, few of their owners having previously come from the area (Villiers-Turhill, 1982). In 1822, plans were drawn up for a quay at the town and various government bodies contributed financially to its construction. D’Arcy ‘hoped that the town would raise living standards throughout the area by exploiting the rich fishing, wool and marble resources in the locality’ (Gibbons & Gahan, 2004: 16). 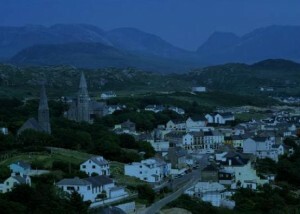 The town’s ‘superb site; overlooking the Atlantic, with easy access to a sheltered harbour, power from the Owenglin River, relatively fertile surroundings and a position at the junction of Connemara’s lowlands and highlands augured well for its long-term prospects’ (Gibbons & Gahan, 2004: 16). During this time a number of roads were constructed through central Connemara and along the coast, linking Clifden with Galway and Westport (Villiers-Tuthill, 1990), the town seemed set for development. All that was required was ‘an enterprising spirit … calling forth and awakening the industry of the people to render it [Connemara] … the most productive – the richest part of the empire’ as ‘it contains an untouched fund of wealth’, (Davy, cited in Hall &Hall, 1853b: 163). Tourism is an important industry in Clifden, and is perceived as the basis for the future survival of the region (Byrne, Edmonson & Fahy, 1993). The town’s striking setting combined with its location in this remote region has attracted visitors for many years. The importance of tourism to the town is evident from the rhetoric of the survey respondents who declared that the town is ‘100% dependent on tourism’ an area where ‘tourism is the main industry … and everybody is involved in tourism in Clifden either directly or indirectly’. Interview respondents explained that ‘nearly everybody [is] predominantly reliant on the tourism industry, … from the taxi services to hotels, bed & breakfasts, restaurants, the equestrian centres’ (C. Murray, personal communication, 24th June, 2006), as ‘tourism is the lifeblood of Clifden, as it is a base for touring Connemara’ (M. Gibbons, personal communication, June, 2006). Unlike in Killarney, however, that ‘enterprising spirit’ was slow to emerge. Rather than human endeavour being prominent in the emergence of a fledgling tourism industry. It was the publication of a book in 1825, Letters from the Irish Highlands, which put Connemara on the tourist map for the first time (Kelly, 2002). This collection of letters from the Blake family of Renvyle house in Connemara helped people see the wild Irish highlands as a place of beauty rather than a savage wilderness. As a result ‘for many tourists prevented from travelling on the Continent by wars, County Galway became a new romantic destination’ (Kelly, 2002: viii). The introduction to the letters describes Connemara as a name ‘scarcely known amongst our English friends’ but the writer goes on to explain that ‘we have seen this wild country excite the admiration of travelled and intelligent strangers: we have heard it compared to the finest parts of Wales or of Scotland; and we have resided some time amidst its romantic picturesque scenery; and who, from natural or acquired taste, enjoy the lone majesty of untamed nature’ (Anonymous, 1825). Just as the lure of Killarney coincided with the popularity for landscape and rugged mountains (Briggs, 2005), the remoteness of the west of Ireland began to have a similar attraction for travellers of the time. The area began to feature in travel accounts from the 1850s, largely as a result of a growing taste for the primitive (Nash, 1993) and ‘eulogies of the Connemara scene … poured forth in an unending stream’ (Bradbury,1871: 4). The area was still considered a ‘wild, strange and dangerous place where ancient habits and customs held sway’, as indeed was the case (Gibbons & Gahan, 2004: 82). It was an area of ‘neglect, poverty and ruin’ where ‘capabilities abound, but are unthought of and unappropriated’ (Hall & Hall, 1853a: 162). Travel writers at the time, while praising the region for its culture and purity and the industriousness of its people, also spoke of the need to solve the problem of poverty, undernourishment and underemployment (Nash, 1993). The Blake family letters, published anonymously in 1825, were ‘full of concern for the welfare of their periodically starving tenantry’ (Robinson, 1990: 14). For a long period Connemara’s land was seen as ‘uncultivated’ and ‘its people … looked upon as uninstructed savages; its gentry … considered but a degree better’ the area ‘was looked upon as beyond the pale of legislature’, where ‘… even its neighbours of enlightened Galway town were, at all times, reluctant to enter’. Clifden was considered a town ‘…very capable of ornamental improvement’ where, ‘as yet … much has not been done’ (Anonymous, 1825). However, by 1839, in a relatively short time the town was beginning to flourish and consisted of many new buildings, including two hotels and three public houses (Robinson, 1990) (plate 6.2). These hotels were described as ‘large … convenient and comfortable’ together providing ‘between fifty and sixty beds’ (Hall & Hall, 1853b: 102). There were ‘also lodging houses at hand’ and the accommodation for the tourist was becoming less of a concern, apparent in Hall & Hall’s assurance that the ‘tourist consequently need be under no apprehension… that he will be without a place of rest’ (ibid: 102). The area had begun to develop and even ‘if its many natural advantages are still either waste or but half productive, its vast capabilities have been made known and the advent of its prosperity’ could not ‘be far distant’ (Hall & Hall, 1853b: v). John ‘D’Arcy maintained full control of Clifden until his sudden death in 1839 (Villiers-Tuthill, 1982). 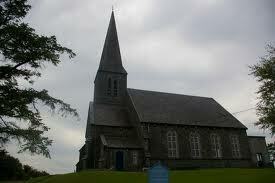 He left behind a large family, few of whom played an important role in the history of Clifden (ibid). In fact, Hyacinth, his oldest son and heir to the estate, lacked his father’s insight and leadership and his complete lack of understanding of his tenants led to many clashes (Villiers-Tuthill, 1982). ‘Instead of preventing trouble as his father always had done, Hyacinth tended to be the cause of it’. 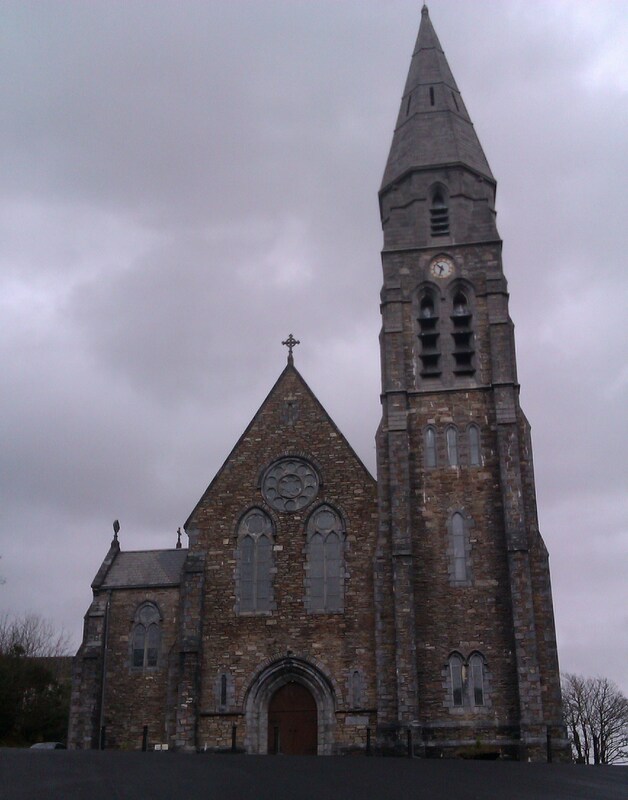 The development of Clifden town and the prosperity of its tenants came to an abrupt halt during the famine of 1845. The situation in the west of Ireland was more desperate than in any other part of the country, due largely to the lack of merchants capable of supplying enough food, and the lack of good harbours (Viliers-Tuthill, 1982). In addition, ‘there was no means of obtaining employment in the area, with no industry and the landlords were poor in comparison with those in other areas’ (Villiers-Tuthill, 1982: 47). Clifden, like the so many places in the west of Ireland, was totally dependent on the government for aid (ibid). The population thinned out to a handful; some areas were almost completely deserted (Villiers-Tuthill, 1990). ‘Hundreds of thousands ofConnemara people were permitted to die’ while many landlords were resident in England and ‘of the landlords who assisted their tenants many were bankrupt and nearly all would lose their estates in the end’ (O’Connor, 2006). 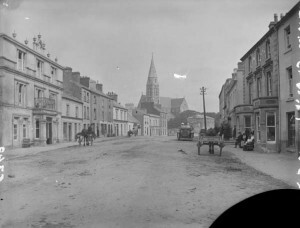 The famine changed the face of Clifden; while the town had grown up to the time of the famine, it now fell in to a depressed state (Robinson, 1990). The D’Arcy estate like almost all of the other local landlords was bankrupted and the family were forced to sell (Gibbons & Gahan, 2004). The estate was taken over by Thomas Eyre, an English gentleman, who was largely an absentee landlord coming only for the summer season and holidays (Gibbons & Gahan, 2004). ‘Poverty became beauty, even sanctity in Connemara’ (O’Connor, 2006) and ‘in spite ofthe bleak lives lived out in an even bleaker environment, this area of Ireland increasingly held an attraction for artists and writers from the end of the 19th century onwards’ (Breathnach Lynch, 2006: 209). Among its visitors was the dramatist John Millington Synge, the writer John B. Yeats and the artists Paul Henry, and just as was happening in Killarney, these writers and artists influenced the travel patterns of the English aristocracy, attracting visitors to the remote area. ‘Painters, poets, folklorists and antiquarians trudged the seeping bogs and rutted boreens in search of a tradition of terrible beauty and a landscape often imaged to express it … it was Wuthering Heights of the west’ (O’Connor, 2006). William Makepeace Thackeray on his travels through Connemara on his way to Clifden in 1842 noted that ‘… there are views of the lake and the surrounding country which the best parts of Killarney do not surpass’ (Kelly, 2002: 70). However, poverty remained a permanent feature and between 1890 and 1910 over sixty percent of Irish emigrants to America came from the west of Ireland, a part of itshistory from which the ‘region has never recovered’ (Doyle, 1978: 204). Connemara was now almost deserted and ‘those who remained looked on hopelessly as cabin after cabin became vacant’ never raising their hopes too high as they ‘had learned to accept that any advances they would make in this world would be made only by hard work and the benevolence of their landlord’ (Villers-Tuthill, 1990: 20). The general air of acceptance of their desperate plight is depicted in the letters of Mrs. Agnes Eyre of Clifden Castle who in 1879 wrote ‘ever the first to feel and last to recover from visitations now so general’ (referring to the effects of crop failure and poverty), ‘poverty has long since gone beyond measurements by statistics … yet there is no wrath in their eye; no malice on those lips … the calamity is accepted as beyond human avoidance’. While this was a period of great development for Killarney where a more structured and professional tourism industry was beginning to emerge, the same could not be said for Clifden. The first organised attempt to have a Galway-Clifden railway constructed occurred in 1860. However, these plans and several subsequent ones, failed due to lack of finances and it wasn’t until a free grant towards construction costs was made available that a railway became a real possibility (Duffy, 2008) (plate 6.3). In 1895, the railway linking Clifden with Galway city opened (Wall and Matthews, 2000). It offered at least some alleviation from the effects of the famine (Robinson, 1990). The Galway-Clifden train ran through the empty core of Connemara linking the remote town with Galway city (Gibbons & Gahan, 2004). The railway greatly assisted the opening up of Connemara (and Clifden) to the London tourist market (Gibbons & Gahan, 2004). It provided new access for tourist traffic, which at this time was concentrated on Killarney and the west of Ireland (Bórd Fáilte, 1967). 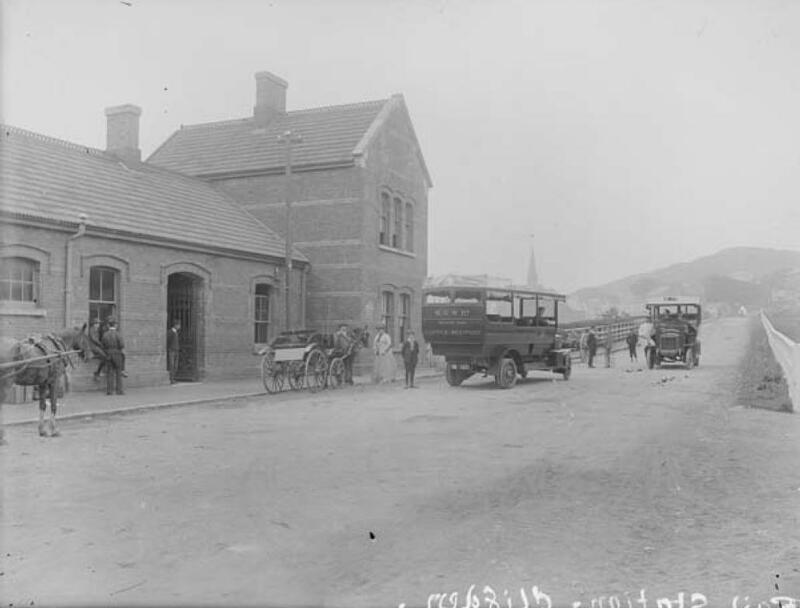 The railway facilitated the growth of tourism, and an increasing flow of wealthy and distinguished visitors, culminating in King Edward VII in 1903, who came to enjoy the beauty of the Connemara countryside (Gibbons & Gahan, 2004). The Midland Western Railway Company intent on maximising its investment just as it had in Killarney, opened a hotel in Clifden (Horgan, 2002). In the years that followed, the railway brought the rich and famous to Connemara to fish, shoot and enjoy the many pleasures the area had to offer (Villiers-Tuthill, 1990). It brought a confidence and independence to the area and Clifden no longer seemed remote and forgotten as it had in the past. The railway was ‘admirably managed in all respects’ to ‘conduct the tourist to Galway town’ (Hall & Hall, 1853a: vi). It offered speed and comfort to those wishing to explore Connemara, and as already mentioned, Clifden was well positioned to provide a base from which to do this. One such visitor was King Edward VII who travelled to Ireland in 1903. During his travels, the King visited Connemara, arriving by Royal yacht at Leenane and travelling to Kylemore Castle and Recess and then on to Galway by train. 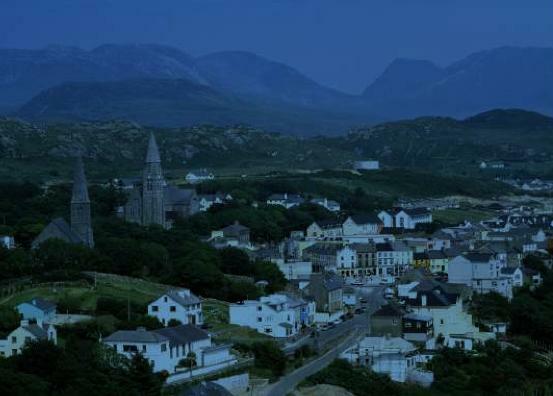 However, despite a formal invitation by Clifden rural district council and the Board of Guardians of the Congested Districts of Connemara, their journey did not include a visit to Clifden(Villiers-Tuthill, 1990).